Oh I'm way behind other blogs on this one, but I'm very excited by the development of Spoonflower, 'the website that allows anyone and everyone to print their own fabric'. It's still in beta, but basically you upload your own textile design (full instructions on the site) and they'll print off a length of fabric in that design. They will also ship to the UK. This is such a 'duh! I wish I'd thought of that' business idea. It's obviously going to be huge and the potential to print on all sorts of different fabrics (currently they only offer mercerized cotton) and possibly even use it for things like wallpapers and rugs is enormous. Not to mention that in future they're hoping to allow people to buy other people's designs through the site, which will be one in the eye to all the 'only to the trade' fabric designers. I think there are going to be some interesting copyright issues going forward though. In the meantime some beautiful fabrics are starting to crop up on Etsy. I've never designed a fabric pattern in my life, but I have received an invitation to use the site (while it's in beta it's by invitation only, but they don't seem to be too difficult to get hold of) and the temptation to bring out my latent Tricia Guild is enormous. 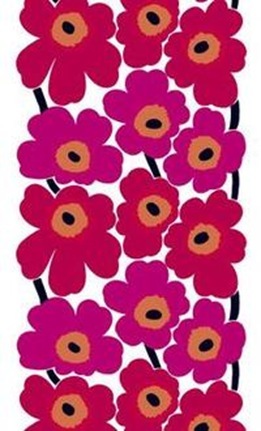 After all, it surely it can't have been that difficult to design the Marimekko Unikko poppies? I just wish they were doing canvas or upholstery weight fabrics as I want to make CUSHIONS. 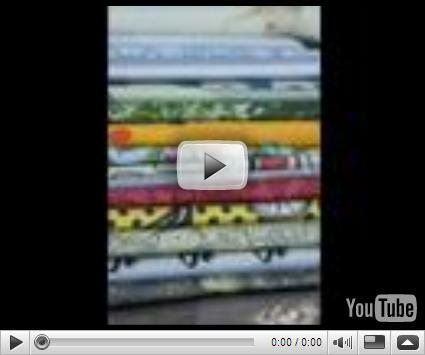 The Spoonflower guys are also writing a great blog about setting up and developing their own business. I'm particularly enjoying their little podcasts. I think this is genius and I can't wait to hear about how easy/difficult it is to use...as well as see the results! Take potato. Cut in half. 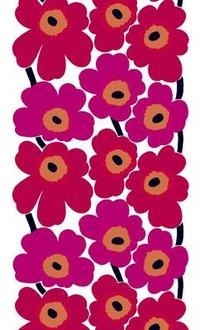 Draw simple pic of flower and cut out. Dip in fabric paint. Print. Iron.